Don’t miss this year’s Hoeniger Lecture! 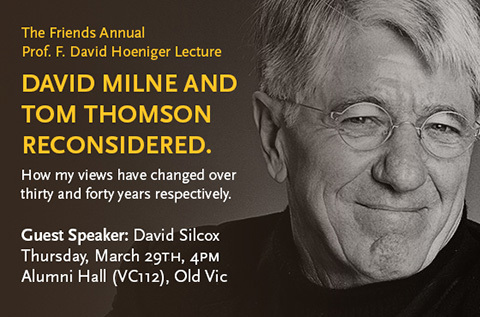 If you’ve never had the opportunity to hear author and art historian David Silcox speak about Canadian artist David Milne or Canadian painter Tom Thomson then you won’t want to miss the Annual Prof. F. David Hoeniger Lecture TOMORROW! Thursday March 29th at 4:00 p.m.